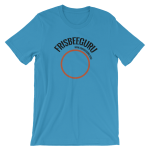 Trivia: What is the oldest continuous running Frisbee Club? New information came to us on 3/2/2018 so if you took this quiz before, the correct answer has been update to accurately reflect history. Do you know the oldest running frisbee club? What is the oldest continuous running Frisbee Club? The Mobile, Alabama/ Spring Hill College Ultimate team celebrated 40 years as a Club 2 weekends ago with a reunion of 30 players and friends.